This cultivar of the Norwary Maple has been a favorite in gardens of all designs, shapes and sizes since it was first introduced at the turn of the 20th Century. 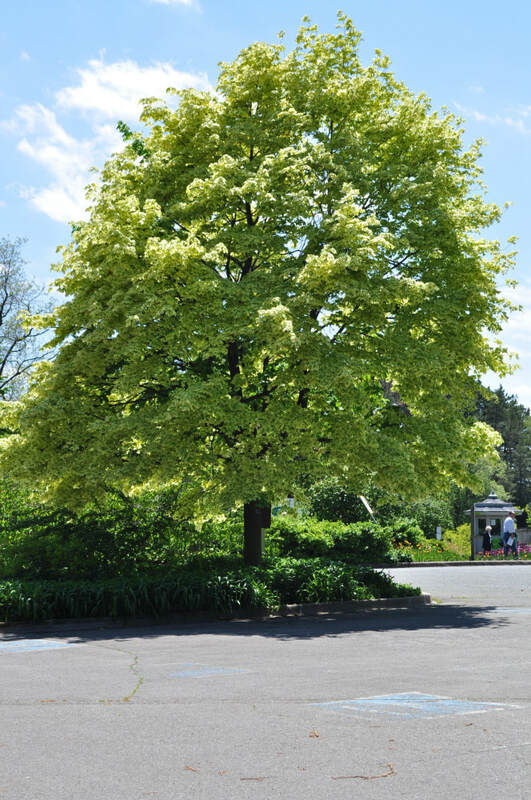 Being native to most of Europe from Scandinavia to Iran the Norway Maple has a toughness and adaptability that has made it one of the most popular and dependable trees for UK and Irish gardens. 'Drummondii' is perhaps the most splendid of all variegated trees. The emerald green leaves have deep cream margins which when seen on mass in the trees canopy creates a striking light and dazzling effect. The beauty of 'Drummondii' renders it a perfect specimen tree, though its regular size and shape mean several lining a drive would create an even more dramatic uniform effect. Its bright contrast is most vivid when used against a darker backdrop.